What a great event! The launch was everything a strong community event could ask for! The community was there! The change makers, community works, teachers, board employees, librarians and even the trustee and superintendent came out to support the launch. Ramon introduced Motion and J-Rebel to kick off the event with a demonstration of the art of MC’ing and Break Dancing while DJ Power laid down the beat. The vibe in the room was contagious and sense of strength resonated through the room. Ramon discussed with high energy the journey we took to get to the resource. He acknowledged the communities already using Hip Hop and how it has been happening. 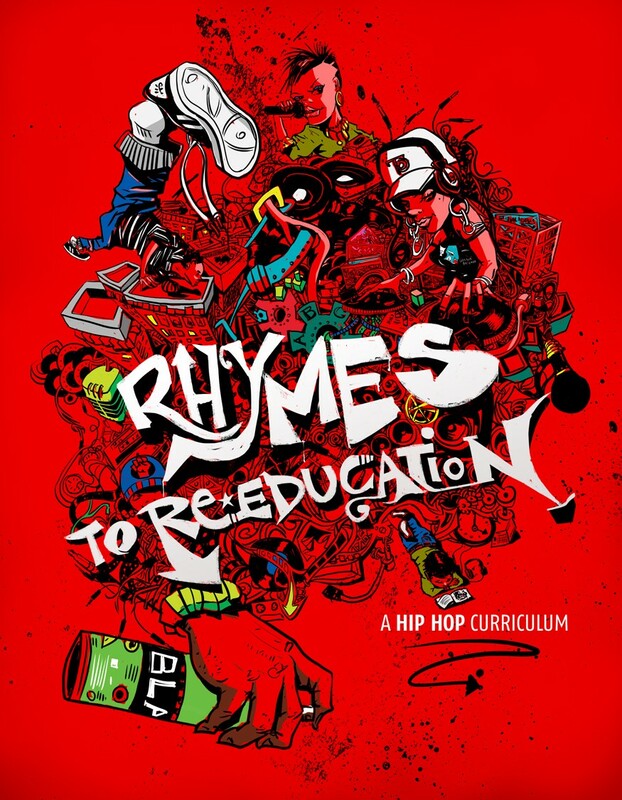 Ramon put a call out to the cypher to have artists and educators all together to create the hip hop curriculum. Moose from Success Beyond Limits presented an amazing spoken word piece in the space. It is youth like Moose that we want to engage in our systems and empower them to continue the amazing things they are doing for the community and be proud. The rest of the evening was a huge success with so many great people from the community coming together with the sounds of hip hop in the background. Seeing so many people who care so much for the youth in our city was amazing. There were people from all walks and all occupations in the space. Hosting it in the Yorkwoods library just one block down from Jane and Finch was important. To bring these successes and celebrations into the community where the youth are from is imperative. The journey of myself as one of the teachers in the TDSB writing and working together with artists to give lesson feedback has been amazing. I have learned so much from the community educators and artists and made new bonds. It has also reinforced, not that I have ever doubted myself, that teaching students in urban areas is what I love to do. Coming together to meet at Lawrence Heights Community Centre and working together to make a difference for youth is something I love to do. It is important to acknowledge that learning by teachers and by youth doesn’t have to take place in classrooms in schools but also in the community. At the same time the learning youth do in community needs to be acknowledged and happening in the classroom as well. I am proud to be part of the TDSB and being supported by them to be a part of this resource. Thank you to all the amazing authors and for the amazing experience that will be on going. Below is the list of all the people involved in the project! Special shout out to Ramon who organized and brought everyone together! He is a huge role model to me. 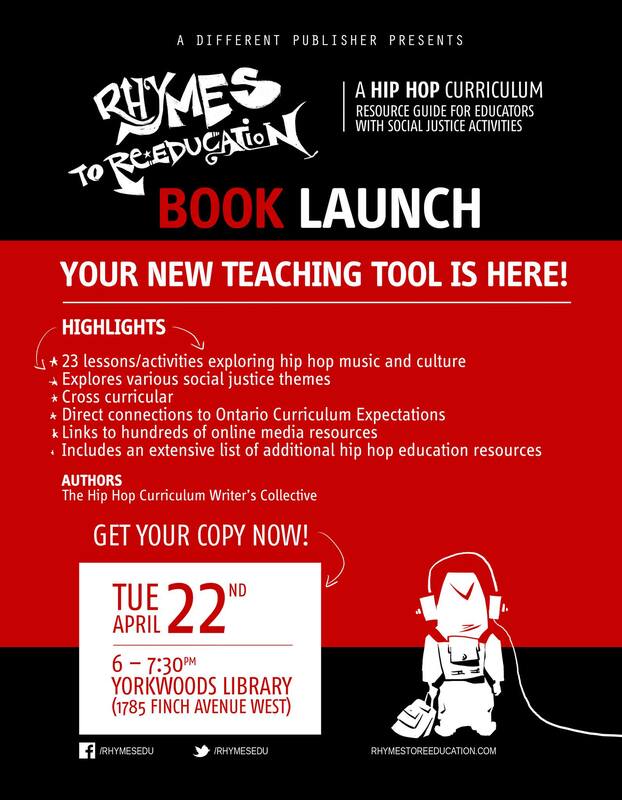 I have had the pleasure to work with such a great team of Toronto Hip Hop Artists (all the elements) and Educators to put together this resource. Nearly a year in the making, this resource brought together the community of people who want to see youth succeed in school and life! It is about teaching through critical pedagogy and hip hop pedagogy to get youth to examine issues and make change in their communities. School is not helping everyone to succeed, this resource is a counter to traditional teaching styles, pedagogy and curriculum which will engage students in your class or community. The lessons range from Grade 2 – 12 and have something for everyone with Ontario Curriculum links. This resource is not just for school but a community resource that can be used after school and summer programs. The website and YouTube channel also have a ton of information and downloads to accompany the book. Very proud of the entire team and how far we have come! I hope to see you at the launch this Tuesday!